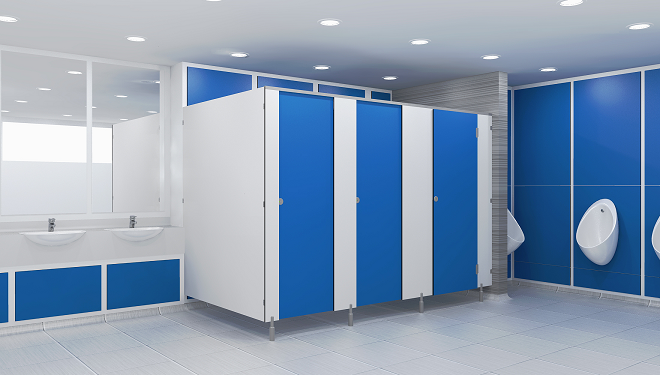 Washroom cubicles that provide a secure and durable solution at modest prices. Cubicle dividing panels, pilasters and doors are 18mm moisture resistant melamine faced chipboard (MR MFC) with 2mm matching or contrasting PVC edging. This efficient cubicle is finished with sturdy powder-coated aluminium hinges, brackets, legs, locks and head rail, ensuring it is built to withstand medium traffic washroom environments. 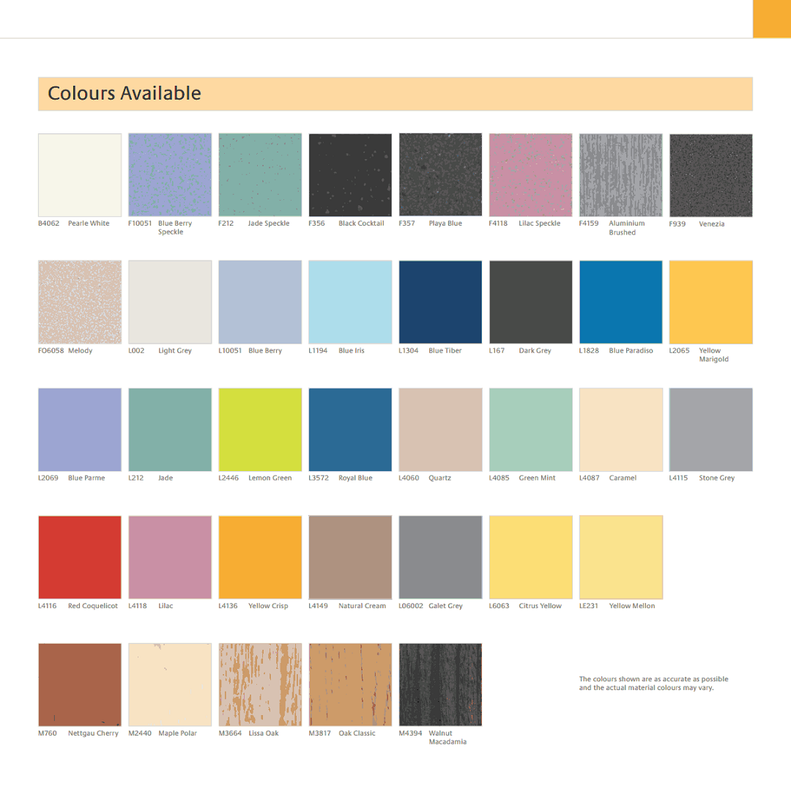 A wide range of over 20 colours, please contact us for laminate samples.